PANAVIA V5 One Simple and Esthetic Cement For All Your Needs! PANAVIA V5 is the 5th version of cement in the PANAVIA family. 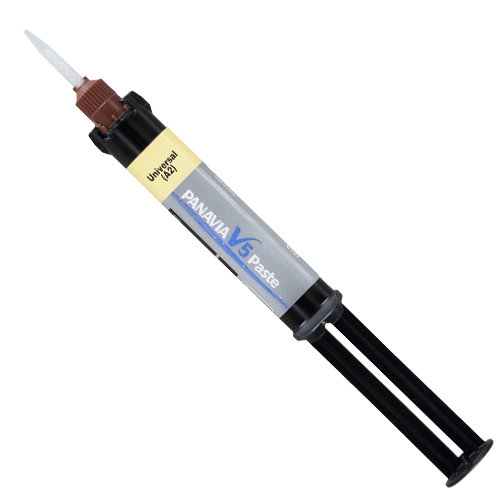 PANAVIA V5 is a dual-cure, fluoride-releasing, color-stable, esthetic, universal resin cement for all indirect restorations. 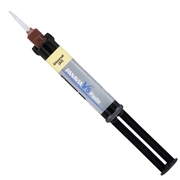 It provides an adhesive milestone by providing self-cure dentin bond strengths equal to a “Gold Standard” light cure bonding agent.